Add this radical custom body side graphics kit to your 2017 2018 Ford F-150 Raptor for an instant upgrade and aggressive look. 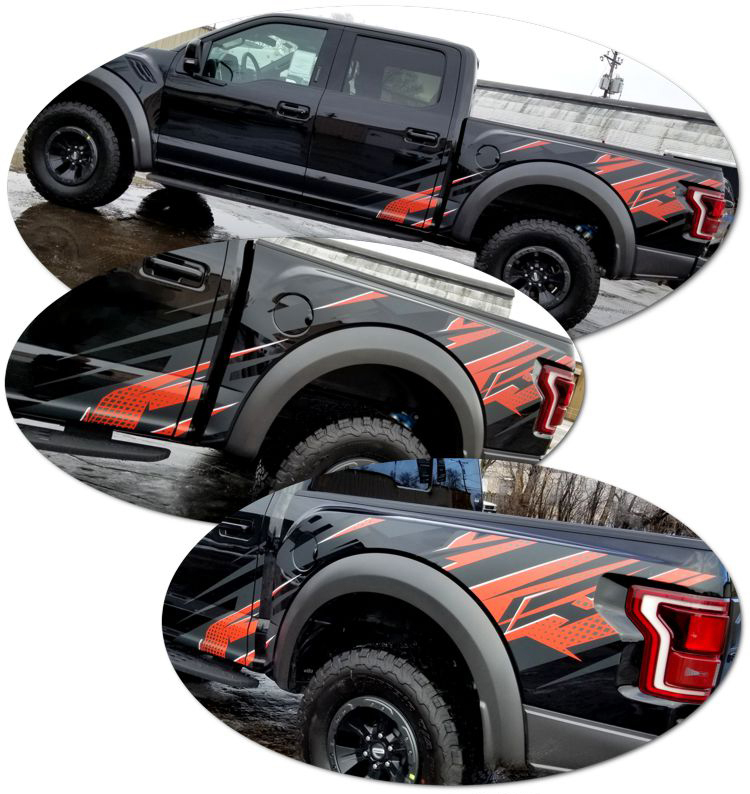 Give your truck the off road splash design with this hot-looking eight (8) piece Body Side Graphic kit! Click here for parts list and helpful installation hints! NOTE: Graphics are made to order to ensure freshness of vinyl for easier installation. Please allow 4-7 business days for production. Kits are typically shipped with USPS Priority Mail. Add an application squeegee and application fluid for easier installation at home. RETURN POLICY FOR GRAPHICS: 30 Days Return Policy. 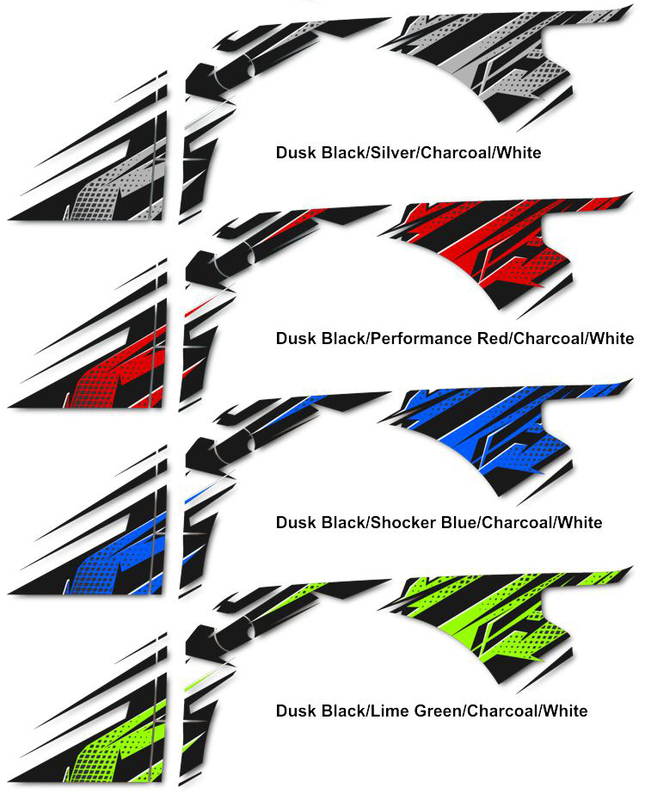 Please note that due to the large number of color options and configurations, graphics are considered custom work and any graphics returned will have a 35% restock fee. Graphics kits with custom wording/text cannot be returned or refunded after it has been cut. MORE NOTES: We use high performance premium cast vinyl unless otherwise noted. We cut our vinyl to be approximately 1/16"-1/8" from edge in order to prevent peeling/pull back and allows for easier installation by not requiring installer to remove car parts. Although our vinyl may resemble the OEM designs, it may not be consistent with the OEM lengths. Many OEM vinyl kits are made so that they go around edges and require removal of your vehicle parts such as grilles and bumpers. Kits do NOT come pre-spaced in packaging as to ensure customers remove and align each piece individually for correct placement and installation.